The London Institute of Banking & Finance awards were on the 6th of December in London, which recognised some of the most innovative companies in the banking and finance sector. This year’s awards had 17 categories including: finance in the communities, technology, and the best financial start-ups. 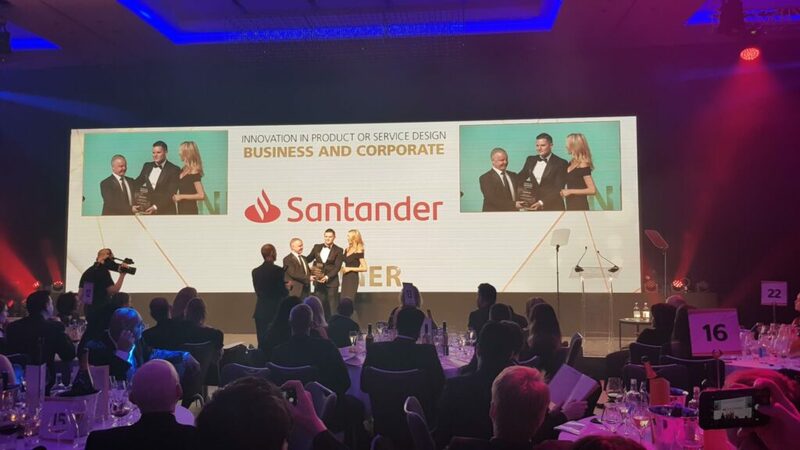 Congratulations to our client Santander for winning “Best Innovation in Product or Service Design for Corporate Digital Onboarding” – we’re humbled and proud that our data and technology is part of your award-winning product. The London Institute of Banking & Finance works to advance banking and finance by providing outstanding education and thinking, tailored to the needs of business, individuals, and society. At the heart of the sector since 1879, they create connections and build partnerships between people and business that make banking and finance more accessible and understood, and enhance social inclusion through better financial capability.